After everyone came out and slammed Rishabh Pant, this is what the Indian bowling coach had to say! Bharat Arun has come out in defence of Rishabh Pant after he missed a few chances behind the stumps in the fourth ODI saying it is unfair to compare the youngster with MS Dhoni. Arun also credited Ashton Turner for his role in the crucial four-wicket win against India in the previous ODI in Mohali. 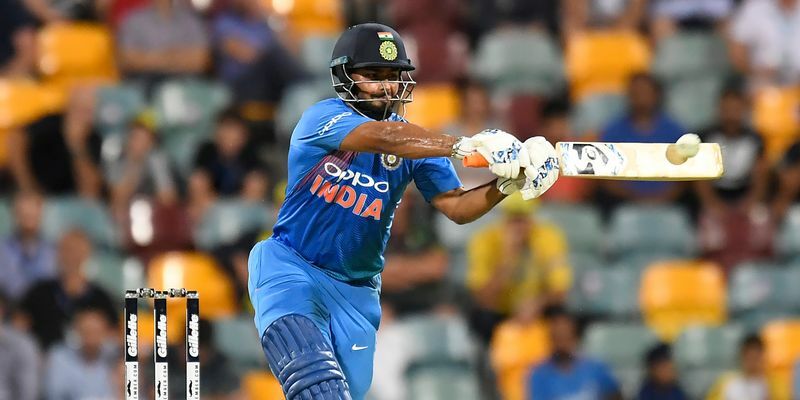 Rishabh Pant was preferred ahead of Dhoni behind the stumps in the fourth ODI against Australia which was played in Mohali on Sunday. The youngster drew unfair criticism after missing a few chances behind the stumps as India fell to a four-wicket loss against the visitors who levelled the ongoing series 2-2. However, India bowling coach Bharat Arun came to the defense of the Delhi youngster as he claimed that it was unfair to compare Pant with Dhoni. "Unfair to compare Dhoni and Pant. Dhoni's stature is huge. He is a legend. His work behind the stumps is exemplary. "MSD is a huge influence on the team. We will be trying out different combinations. Not necessarily these combinations will be in the World Cup. Any mistakes, hiccups have to be now. We are extremely cautious," Arun was quoted as saying by IANS sources. Speaking to the media on the eve of the fifth one-dayer at Feroz Shah Kotla, Arun said that the Indian team was in the midst of trying out combinations as a part of the preparation for the 2019 ICC World Cup. Arun has also added that Australia batsman Ashton Turner (84 off 43 balls) must be given credit for his job in the last match on Sunday. "If you see, the success of our bowlers has been more than 75 percent. These things do happen (last game) and I am happy that it happened now and it shows us areas where we can improve before the World Cup. "You should give credit to the knock Ashton played. Dew played a crucial role -- but I am not trying to give excuses. We didn't bowl as well we had planned for him, but we will comeback stronger. More or less, the team is sure of the combinations. Want to try out all combinations so that there is no room for any further improvement going into the tournament," Arun added.